The cover story for the 2015-February issue of Construction Specifier is co-authored by Michael Chusid. It discusses recent developments in cold-formed steel in construction. It can be viewed online. 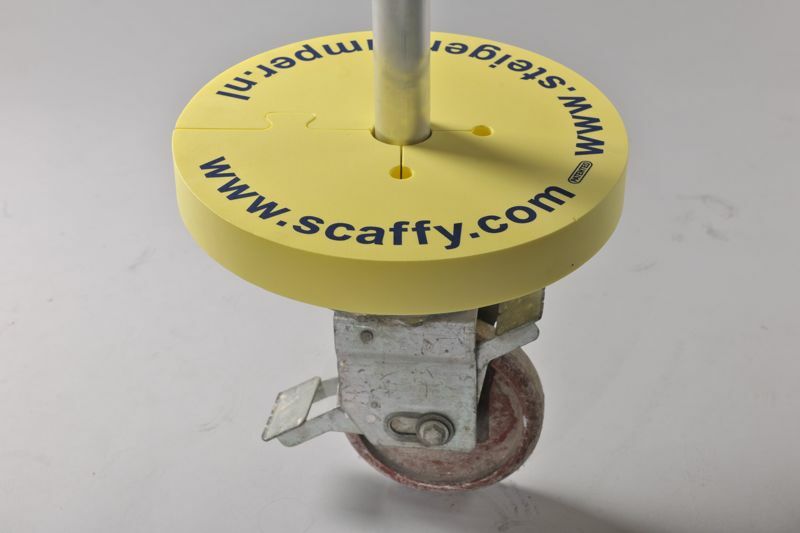 Bumpers for Movable Scaffolds: Scaffy.com makes it easy to protect walls and other finished work from damage by movable scaffolds and work platforms, defining a new best industry practice. LED Lamp to CoverRecessed Can Lights: There are many new, innovative LED lamps. This one, from ilumigreen.com, is designed to cover a recessed can fixture, a neat application that solves a common relamping problem. The Attack of the Drones: While proposed as a tool to survey or photo a construction jobsite, it is too tempting to carry in lunch take-out. Only $300 at the show for the entry-level device from RotorConcept.com. Screws with Serrated Threads: Recently introduced in North America, www.Spax.us offers screws with serrated leading threads that tap into wood and other materials to eliminate or need for pilot holes. Step by step, innovations like these contribute to the overall advancement of construction and satisfaction of market needs. A recent article in Environmental Building News discusses the environmental credentials of Autoclaved Aerated Concrete and then asks, "Is there space for AAC in the U.S. market?" Twenty-five years ago, I wrote an article for Progressive Architecture magazine in which I called AAC, "the best building product you can't buy." That is still true in most of the US. Despite numerous attempts and millions of dollars spent to build plants in several parts of US, there are only two producers in North America. AAC is an ultra lightweight precast concrete product that is 80% air by volume. It has good structural, environmental, fire, and other performance characteristics. 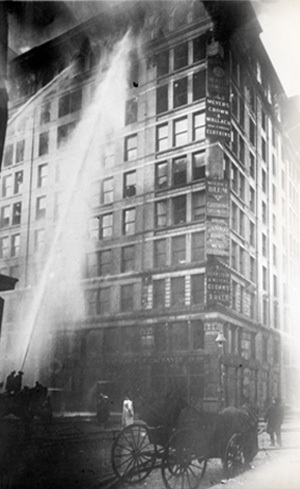 It has been used for 80 years in Europe, and is one of the most widely used building materials worldwide. 1. While Europe was developing AAC, the US construction industry was developing metal buildings, light gage steel framing, concrete masonry units, and prestressed concrete. Those industries are now mature and a formidable competitive barrier to an innovative product with high start-up costs. 2. More recently, new technologies offer many of the benefits of AAC without the high capital costs of building and operating an AAC factory. Consider, for example, stay-in-place concrete forms, prefabricated light gage steel panels, and ultralight aggregates that can be used to make a cellular concrete that does not need autoclaving. 3. The high cost of an AAC factory creates a huge debt burden. While lighter than conventional concrete, AAC is still bulky and heavy, limiting the practical size of a distribution territory. These factors drove businesses into bankruptcy when demand didn't grow as quickly as expected or when the regional economy slumped. 4. Many of the European firms that invested in US factories did not understand the US market and made major strategic blunders. These blunders tainted the industry in the eyes of many investors and builders. 5. Even with increased appreciation for environmentally sound buildings, most construction in the US is still not very interested in green. Most home builders will continue to build with wood, for example, even though it burns and rots, because it is less costly. In theory, AAC is such an attractive product that people get dazzled and become true believers. I call this, "Tobermorite Fever," named for the mineral that makes up AAC. But let's look at it from another perspective. The construction industry in North America is fragmented into many regional markets. The failure rate for all innovative construction products is high. So the fact that there are viable producers in Florida and just across the Texas-Mexico border, plus designers, engineers, and installers that are well versed in the product, should be seen as a success for the AAC industry. An online search on "Chusid" and the words Autoclaved Concrete will return links to several articles I have written on the topic. An article in January 2011 issue of Consumers Report pointed out the unintended consequences of reformulating a product. According to tests conducted by the magazine, glass baking dishes made in the US have been reformulated. While the new products look the same as the old and generally perform as well under normal use, the reformulated products can shatter and cause injury. This got me thinking about how reformulations effect building product marketing. Is this old or new Pyrex? New product packaging has safety warnings and handling instructions, but there is no warning on the product itself. I have always had Pyrex brand glass baking in my kitchen, as did my parents before me. Over the decades, the brand earned a place of trust in my kitchen due to the product's ability to withstood the ordinary wear and tear of household use. Recently, and without public fanfare, Pyrex brand products were reformulated. Instead of being made with borosilicate glass, they are now made with a less costly soda ash glass. The new products look the same as, and usually perform like. the older models. But I have had newer pieces of Pyrex break during ordinary handling while my older Pyrex products keep on working unless I drop them on the floor. This reminds me about a story my father-in-law, a dentist, told me about a batch of anesthesia that produced unusual side effects. While the manufacturer insisted the drug was made according to all quality assurance standards, my father-in-law discarded the rest of the batch. Years later, he learned the manufacturer had finally identified the culprit; the company that made the gasket that sealed each vial had changed its supplier for a lubricant used in the gasket manufacturing process. While the new lubricant met the written performance standards of the previous product, it left a trace contamination that interacted with the chemicals used in the drug. Continuous process improvement is often touted as a virtue. However, it can become a liability if your customers are not informed about changes. Failure to notify customers can lead to increased product failures when someone assumes the new formulation will work just the same as the old one. Equally insidious is damage to your brand's reputation. My father-in-law found a new vendor and stayed with it for the rest of his career. And even if Pyrex resumes manufacturing of borosilicate products, I will probably remain skeptical, preferring to buy the old stuff in second hand stores than take a risk with an unknown product. Product reformulations occur frequently in the construction industry, and usually without the knowledge of the specifiers or builders using the product. Indeed, reformulations often result in superior and more affordable products. But not always. New products will always lack something that older products offer: the test of time. An old-fashioned built-up asphalt roof might fail in 10 to 20 years, but we reliably knew they would fail in that time period. When a new roofing system comes along, we can look at lots of material tests and even accelerated aging tests. But nothing tests a roof like 20 years of actual exposure. Lab tests usually measure one variable at a time; everything happens at once in nature. It is generally best to tell customers when changes have been made to trusted brands. Then, work closely with them while they get used to the feel of the new product and learn to use it correctly. Michael Chusid will be a keynote speaker at the CSI West Region Conference to be held in Spring 2012. His presentation will be during a Vendor Appreciation Luncheon. With both design professionals and sales reps in attendance, any guess who picks up the bar bill? It's been said, "We always overestimate the change that will occur in the next two years and underestimate the change that will occur in the next ten." (Bill Gates) With that in mind, Michael Chusid, RA, FCSI, CCS, ACI, CWA, SCIP, EIEIO*, fearlessly prognosticates a decade into the future to help us reimagine the next few years. He interprets auguries about building design and construction, material science and product trends, and whether sales reps and specifiers will, at last, find true love and commitment with each other. Michael is author or ghost writer of over two hundred published articles about architecture, building products and marketing, and publisher of BuildingProductMarketing.com. As president of Chusid Associates (chusid.com), the leading marketing and technical consultant to the building product industry, he has seen untold numbers of innovations crash and burn, yet is adamant that his predictions will be just as wrong as those of anyone else. While the tone is lighthearted, the topic is crucial for construction industry professionals in a changing market. * For those uninitiated, the author is parodying the CSI practice of making liberal use of professional credentials following names. EIEIO is a group for individuals with more than five sets of initials after their name. A new hand-held inkjet printer has potential marketing benefits for building products. The Handjet Printer from EBS Ink-Jet Systems can apply any text to almost any surface. While it is primarily designed for applying labels to packaging or products, it can also be used to print notes, quickly and legibly onto a product to simplify field installation. This could be especially useful for customized products fabricated with CAD/CAM equipment where each part can be potentially unique. In current practice, such a product would be shipped into the field labeled with a part number. One would then have to look at a set of drawings to identify its location in a project. The drawings may also have notes indicating erection sequence, attachment locations, warnings, and other information related installation of the part. With the Handjet, these notes could be readily printed on the part itself, simplifying the installers time cross referencing between the parts and the drawings. The convenience, and potential labor savings, can become a marketable feature of your product. Similarly, information typically found in an maintenance manual could be printed on a product, simplifying building operations. I can visualize other uses for the technology: In-plant applications include quality control, inventory. and shipping. In the field, it could be used to create attention-getting notes to installers or other trades people. And as job site robots come into use (and they will), ink jet printers like this could be used to mark survey and layout points to speed installation.